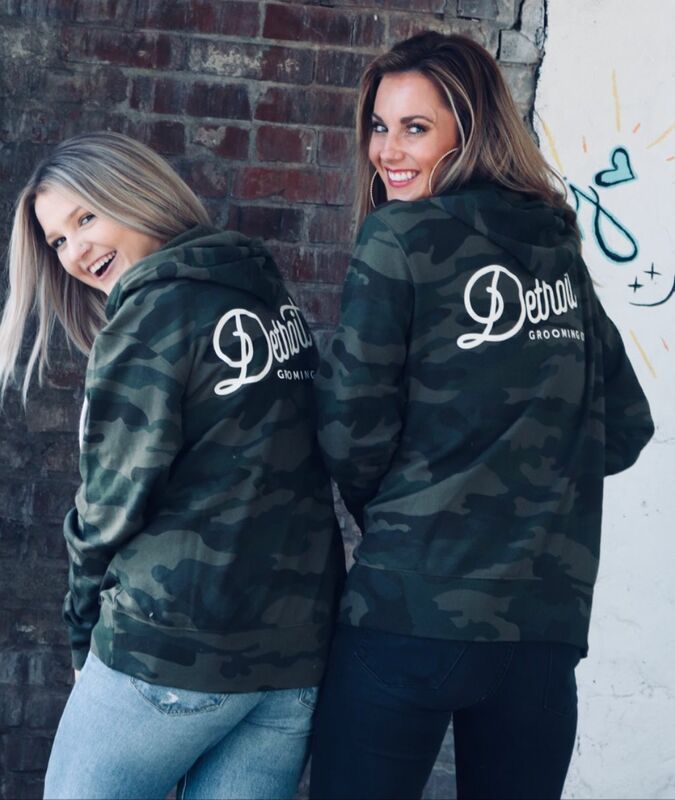 Looking Back on 2018 – Detroit Grooming Co.
Director of Brand Management, Marketing, & PR. 2018 was such an awesome year for us at Detroit Grooming. Looking back, we are filled with amazement and gratitude for one thing: YOU. We wouldn't be here today were it not for you. Our bearded dads and rockstar barbers; Clean cut pros and high-end salons; a growing list of women using our products for themselves as well as buying for the men in their lives; and guys just like us who want to continually develop and nurture a better version of themselves. Because of you and your connection with us, we were able to accomplish more than we imagined in 2018. Here's just a few of the highlights from this past year. 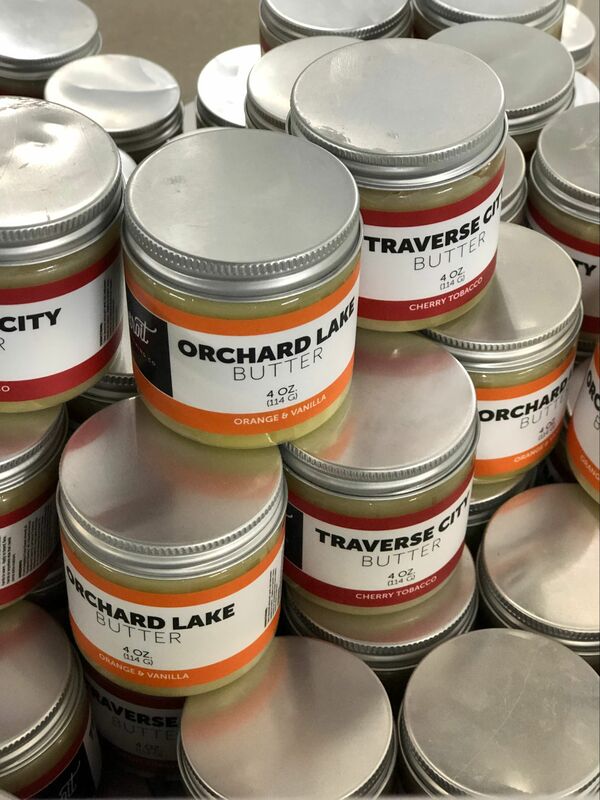 The new Traverse City and Orchard Lake Butters. You asked, we listened. The Traverse City Beard Oil and the Orchard Lake Beard Oil remain a couple of our strongest sellers. So, when you asked for our all-natural beard butter to go along with it, we did it! Launched this summer, both butters became an instant success, selling out three times as we struggled to keep up with demand. 2018 also saw the successful release of our new liquid cologne in the Black line. The warm amber bourbon scent has been a huge hit with men for the last few years and a spray cologne was a natural extension for our popular Black line. The warm and resinous amber shows hints of patchouli and vanilla. The earthy and aged bourbon scent gives it some lasting character. These two scents combined create a memorable and lasting impression. As some of you know and some of you don't, I was one of the original co-founders of the Detroit Muscle Apparel line. The line was launched back in 2005. What started out as a few t-shirts inspired by 80's rock concert tees and a couple of sweatshirts, the line quickly became the new standard for muscle car lovers, drag racers, and the weekend wrenchers. As of this writing, the line can be found everywhere from Summit Racing to Advance Auto Parts to thousands of small mom and pop shops across the country. 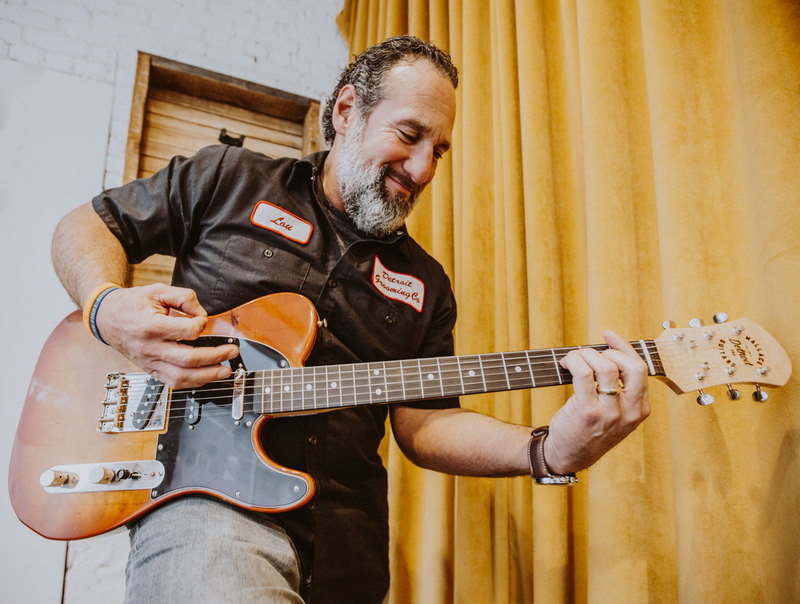 When I came on full-time at Detroit Grooming, the management team handed me the keys to the apparel line adding "it's yours now, take it for a spin." Since August of this year I've tripled the line and we're tee'd up for an amazing 2019 with everything from shave kits, to golf gear, denim jackets, barber capes, and more. We've also partnered up with a few iconic Detroit Fashion brands including York Project, Detroit Denim, and Detroit Sewn. Are we excited? Oh, Hell Yes. One of our newest additions was our camo line. Contrary to what you might have heard, Woodland and ERDL camo patterns remain hot. Our sales numbers prove it. We launched a camo trucker ball cap, a camo zip-up sweatshirt (shown here on Jamie and Carlee), and a Collector's Series Camo Coaches Jacket. All three have sold out at least once. In addition to the camo products, we switched to an entirely new tagless system for our super-soft tees, added several new colors and long-sleeve versions and we released new sweatshirts, beanies, patches, keychains, and more. Another huge this year was our Strong Hold Beard and Strong Hold Mustache Wax. Here's another great example of you asked, we listened. If there was one feature many of you needed with our butters it was a stronger hold so we worked for several months perfecting our new Strong Hold Beard Wax and Mustache Wax in the sandal wood and bourbon scent. With all the features and benefits of our beard butters but with a stronger hold! 2018 also saw the successful release of several new straight razors including the new black & gold edition and the barber stripe edition featuring a locking hinge design, interchangeable blades, and a laser-etched logo. Finish off that awesome straight razor shave with our new Bay City Aftershave Tonic. This bay rum and bergamot scented gem will hydrate your face, help it repair, and leave you smelling amazing! We also launched several new combs and soaps including the Traverse City Bar Soap and the Christmas Hand Soap this year. But it was more than just new products that made this year amazing for us. We had nearly five times as many as television and radio appearances this year with everyone from Fox 2 Detroit, to Fox 66 in Flint as well 104.3 FM and WWJ 950 AM. It was great to be invited on so frequently to talk about our passion; elevating the men's grooming game and helping men become better versions of themselves. We had overwhelming community support for our Grand Opening and Open House. The Ferndale Chamber, the Oakland County Commission, the Chaldean Chamber, and so many more organizations helped us throw one heckuva party! We partnered up with Pathway X Events and their exciting new program empowering junior high school students to look at new career options. We teamed up with Ferndale's annual DIY Fair and the Detroit Holiday Boutique Show. Lastly, we launched our new Retail Store at The Lab and we finished out the year strong by exceeding our goal for our Toys for Tots campaign. As this year comes to a close, we are overwhelmed with gratitude for our customers, vendors, suppliers, friends, and family. We've all put in some long nights, and long weekends, and we're committed to doing the same in 2019. We love you. Thank you!